"A clever, often brilliant, weaving of two story lines... Mak brings science and theology together in ways few other science fiction writers would even contemplate." "It's Romeo and Juliet meets Benny and Joon in a futuristic Japan. Then stuff blows up! The Shrine of the Siren Stone is a wonderful, female-friendly story and a welcome departure from the stereotypes of the science fiction genre. The plot twists surprised me, I got teary-eyed in a few places, and I laughed out loud in others. What's not to love?" "Derwin Mak creates a dazzling mix of artificial intelligence, future warfare, otaku romance, and Japanese religion. His characters are comic, then heroic, and finally self-sacrificing. He achieves something of great rarity in science fiction: a novel of heartfelt poignancy." 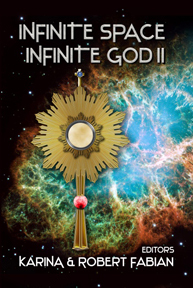 “Transubstantiation” by Derwin Mak is another stand out story in this collection. Taking place on the Space Station, Troika, orbiting Mars, a disaster has taken place on the surface at Redsands Base and all the settlers have been killed. Paul Devane attempted to save one of the settlers using the teleporter, even though it isn't safe for human use. A few days later, a teenaged girl steps out of the teleporter booth claiming to be the second coming of Jesus Christ, sent to start a chain reaction that will lead to life on Mars. “Transubstantiation” is an entertaining story about faith that manages to avoid preaching or disrespect. Especially charming is the essence of the Christian savior filtered through a teenaged girl without stepping over the line. I recommend this one. "With human cloning moving ever closer to reality, it's moral implications are becoming a pertinent issue. In Derwin Mak's Cloned to Kill, the question is raised - is a human clone a piece of property or a human being worthy of an immortal soul? The flip-flopping of rhetoric is addressed by clone creator Dennis Rowicki. "The baptism of clones shows the hypocrisy of the Catholic Church. For years, the Church opposed the cloning of humans. For years, you said only God has the right to create human beings through natural procreation. Yet you eagerly baptize the clones created by the process you condemn." Mak depicts the Church as standing firm on human rights regardless if the person is naturally or synthetically born. As expressed by the clone, Lorraine, "Only inside this church [I am human]. I am non-human outside it." A military clone named Lorraine … hiding in St. Joan of Arc church … and she hears voices. Enough said. This one was fairly awesome, and very well constructed. "A priest provides sanctuary to a young girl, who’s actually a genetically-engineered killing machine. Is she human? Does a clone have a soul? When her creators come to claim her, we learn the limits of humanity are about more than genetics, as prayer battles programming....moving and thoughtful." "Looking to read something a little different in SF and fantasy? 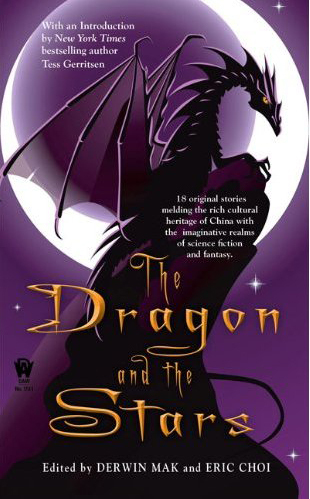 The Dragon and the Stars features eighteen (in Chinese lore, a lucky number) new tales written by English-speaking writers of Chinese ancestry...I would be hard-pressed to select the best story from this collection." Here is a collection of eighteen tales drawing on Chinese tradition and legend that are written by authors of Chinese heritage who add in touches of their current culture to add into the uniqueness of their stories. The stories are varied and feature topics ranging from a Chinese consortium trying to launch a rocket from Canada; a fox spirit seeking revenge; a fortune cookie that makes you write your own fortune; a visit to “Anglotown”; the Man in the Moon; and, other tales crafted to give you a taste of Chinese culture and fine story telling. 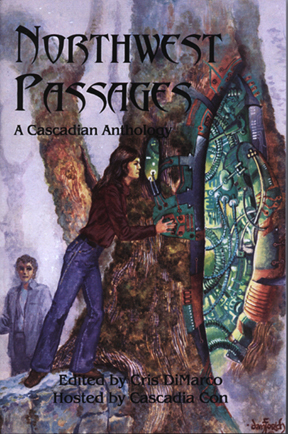 The eighteen stories cover a wide range of themes, and while the majority of the stories fall on the fantasy side of the genre, science fiction is represented as well, including the steampunk and alternate history subgenres. In addition to the introduction and afterward, the anthology also contains biographical information about the contributors, which includes website listings and other publications, so readers wishing to read further stories by the authors in the book should not have any difficulty locating additional reading material. Given the broad mandate of The Dragon and the Stars and the variety of the stories, it is a solid collection that should appeal to a wide range of readers. "There are wonders aplenty in this hegemony-challenging volume."